A veteran in Chaska was wanting to remove a tree safely without damaging his property. 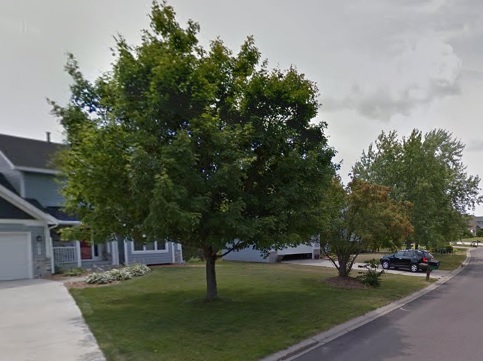 His home and property was very special to him and he went online to do a search of the best tree removal Chaska had to offer and Nature’s Touch Tree Care & Landscaping was the only company that kept appearing. The reviews left by customers impressed him, so the veteran contacted Nature’s Touch Tree Care & Landscaping for tree removal in Chaska. The Nature’s Touch Tree Care & Landscaping crew arrived at the veteran’s home and he showed the crew the tree that he was worried about. The tree indeed needed to be removed as it was leaning towards his home and utility lines. We let him know that we use special equipment, so there would absolutely be no damages done to his home or his property. The veteran was glad to hear the news and we returned to his home a few days later with our bucket crane and started removing the tree. Within just a few hours our crew had the tree removed successfully and safely. When the crew was done the customer came out and said he was grateful to have Nature’s Touch Tree Care & Landscaping to do the heavy lifting and keeping his property safe and sound. The homeowner said that he would only contact Nature’s Touch Tree Care & Landscaping to do all his tree removal and landscaping from now one, because we did such a great job.